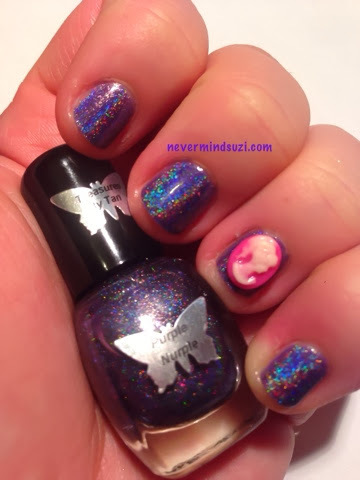 I've got one of Tanya's fabulous holo's to share today! 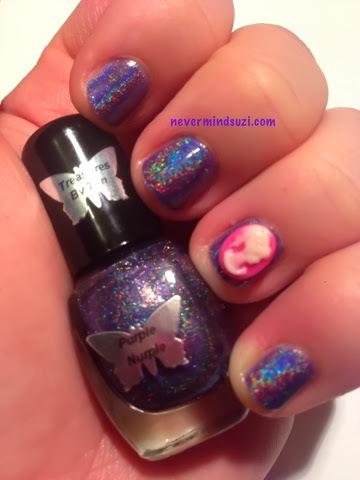 Purple Nurple is a deep aubergine purple with the most amazing rainbows dancing throughout. 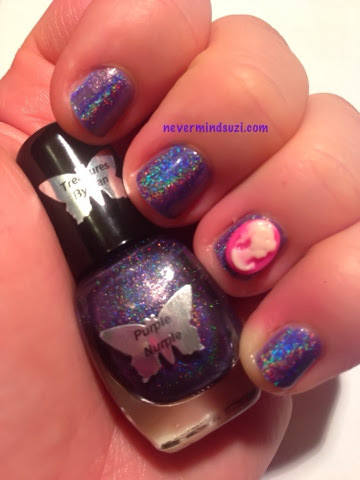 I added these pretty pink cameo charms I got from Born Pretty Store to my accent nails. I love cameo's they're so vintage!